This week, the artists at Woodside Elementary visited Europe. 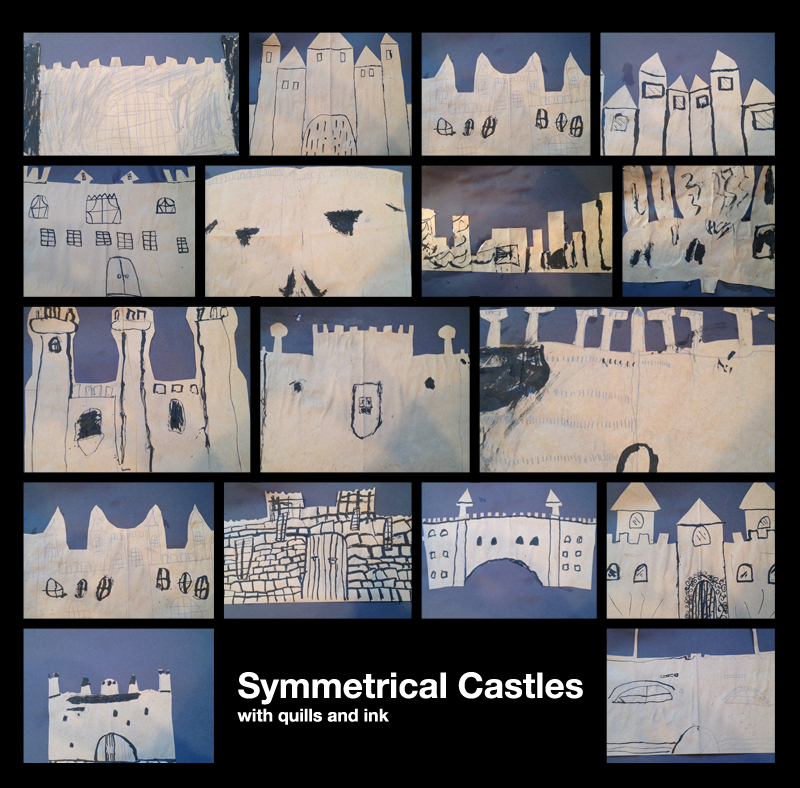 We have learned everything there is to learn about castles: why there were built, where and when, why where they built the way they were, what materials were used, why did they have small windows and moats… We have also looked at a lot of pictures and found out that a lot of the castles are symmetrical. For the art project we made our own castle: symmetrical cutout of a castle made out of brown recycled paper. Then we glued it onto a black piece of paper and decorated the castle the way we would have if it were still Middle ages. We used real quills! Kids used huge goose feathers (with the 45-degree cut on the bottom) dipped in ink to add bricks, windows, gates, vines and anything else they wanted to their castle. They had a blast and were amazing! 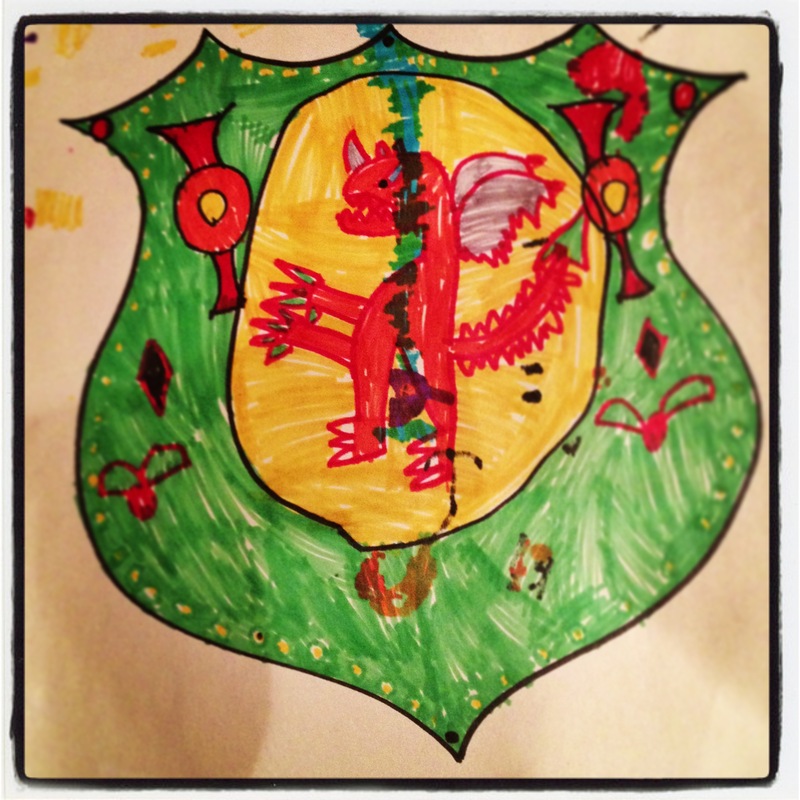 When we were done, we had couple of minutes to spare so we made out family crests as well. Everybody got one template and decorated it with whatever they wanted. Some kids took it seriously and drew stuff that represented their family the best, some took it silly and drew a dragon sitting on bacon… nevertheless, they had a blast! This entry was posted in Art Projects and tagged art, ArTree, castle, europe, kids, magazine, project, quill, symmetry. Bookmark the permalink.